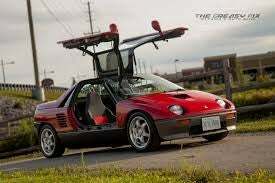 I’m heading to Deals Gap this weekend with some friends to finally hit up the tail of the dragon with the Autozam. There’s also a Ford Festiva gathering in Raleigh that I’ll be attending with it too. Lots of old friends from my Festiva/Aspire enthusiast days will be there. Any tips for the Dragon? Or cool roadside places to check out while I’m in that area? Any Oppos in Raleigh that want to come check out the car during the Festiva Meet on Saturday?